It doesn't matter whether you are a serious gamer or casually like to play games on PC, the hardware you choose plays a vital role in your defeat or win. Whether you like to play shooting games, racing or any kind of fast action games, graphics really matter. Clear visual and rich graphic quality enhances your performance. 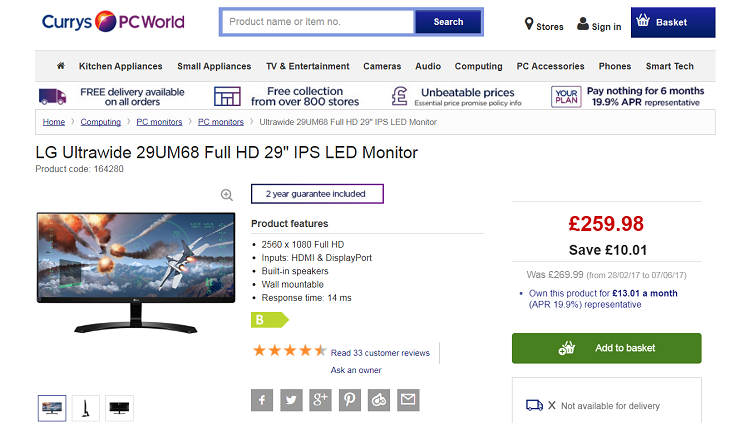 You have latest gaming PC that has a brilliant graphics card, but what about the monitor? You will need a compatible monitor that will be capable of displaying actions without delivering you blurred images. Here I will help you in choosing a display that will surely help you win the games and will give you an immersive and smooth gaming experience. The technology involved in the manufacturing of gaming monitors has matured dramatically in the past two and three years. Monitors now come with a wider range of price and features and it will be difficult for somebody to choose a reliable and worthy device. The display really matters when you are looking for a gaming monitor. 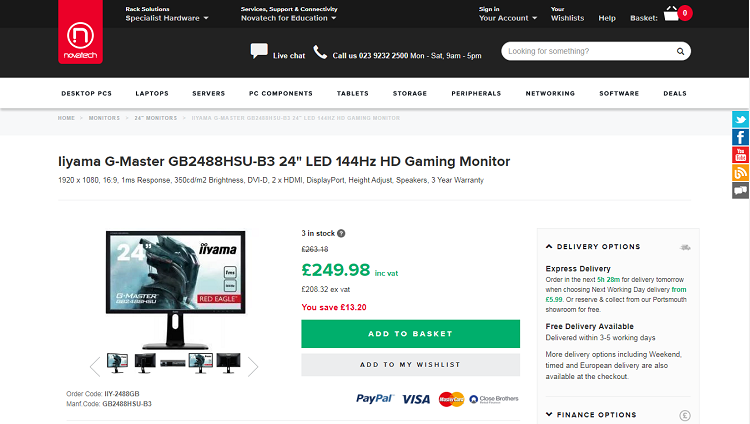 A quality gaming monitor will provide a brilliant visual output as well as the gaming experience will become smooth and responsive. These quality gaming monitors will deliver the best performance and will help you to play at your best. 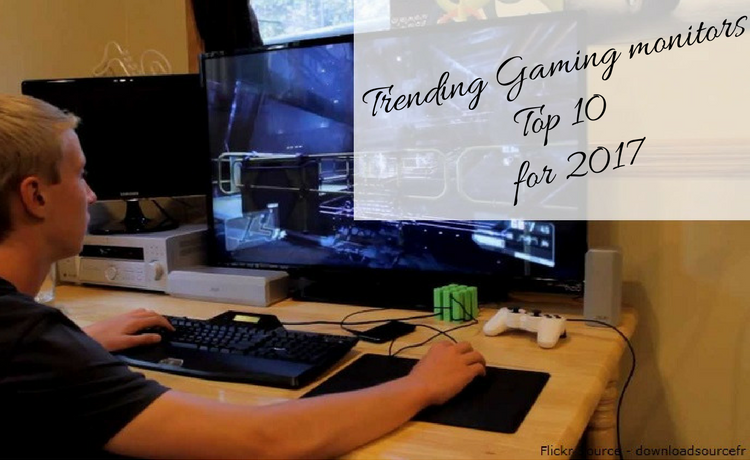 So, let's dig out this worthy list of Top 10 Trending Gaming monitors for 2017. 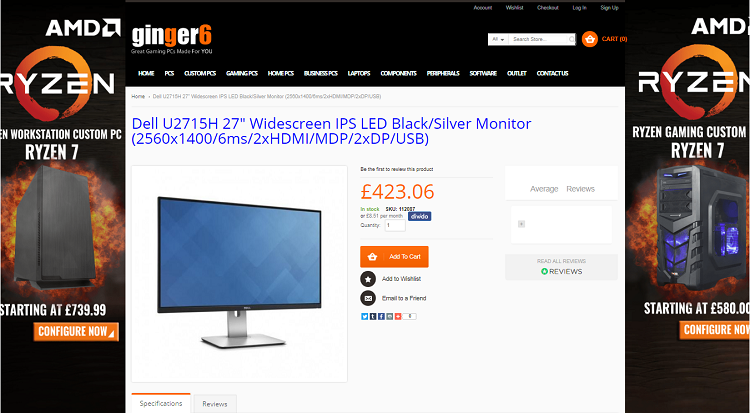 I think that you will be able to choose your gaming monitor after checking this list. 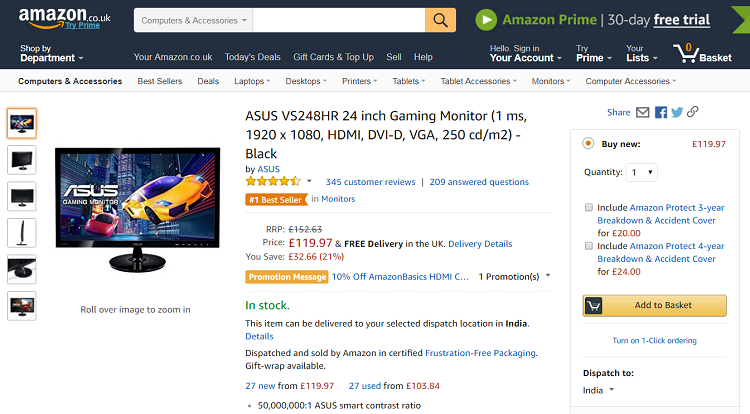 First in the list is Asus gaming monitor that comes with a brilliant screen resolution of 1920 x 1080p. The full HD 1080p display quality makes the visuals more live and effective. Built for a quick response, Asus gaming monitor takes 1 ms to response. The quick responding feature inhibits tracers and ghosting, resulting in smooth video playback. Aspect control feature allows you to select desired display mode. Asus gaming monitor is loaded with video intelligence feature that enhances video quality and image fidelity. This Samsung gaming monitor comes with the screen size of 28 inches. 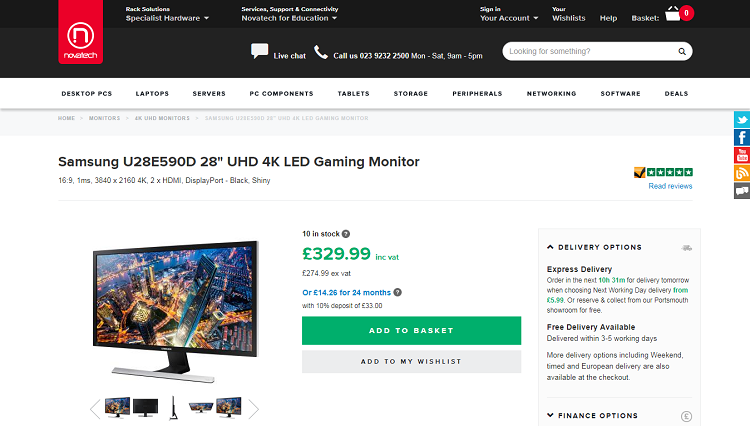 Having 4K UHD quality and the resolution of 3840 x 2160p this monitor will be a perfect piece of hardware that will fulfill your gaming desires. Samsung-U28E590D is stylish, slim and lightweight monitor brilliantly designed to deliver detailed sharp images and smooth video quality. This stylish, powerful and power efficient monitor will build a gaming atmosphere instantly. The 24 inches of screen size with full HD display helps you to enhance your gaming skills and allows you to connect yourself with your gaming. The backlighting feature allows users to play for a longer time without any kind of strains in their eyes. Brilliantly designed for ultra-fast response keeps the users with their game, no matter how furiously they play. Users can adjust the monitor height to reach the ideal position. This amazing feature makes gaming comfortable and as long as user's desire. AOC-G2460Pf is loaded with built in speakers ending the concept of external speakers. Having a wide range of connectivity, it can be connected with many compatible devices. It has DVI, VGA, HDMI and display-port connections offering a range of connectivity with other devices. LG-29UM68 provides you a bigger screen of 29 inches with the brilliant resolution of 2560 x 1080p. Build with advance and latest technology it doesn't cause any distortion and color shift. It allows customization, so you can set the screen setting according to your mood with few clicks. LG-29UM68 has multiple game mode feature including RTS and FOS modes. Thus, you can customize the settings for the type of the game you are playing. The presence of FreeSync feature tends to run the high-quality games without any kind of screen tearing. 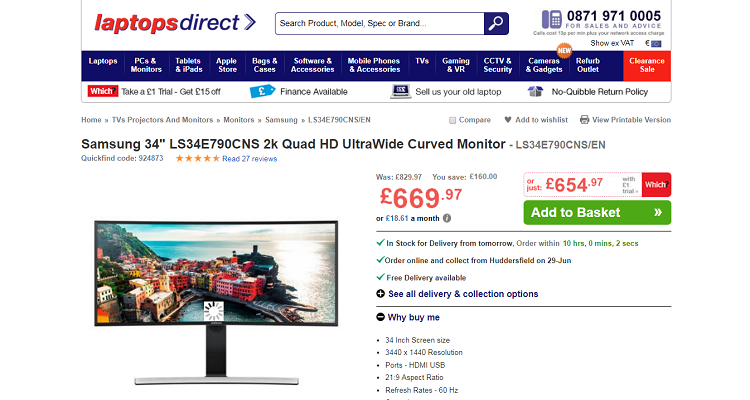 Here is a monitor with a curved screen. The latest technology has evolved the feature of the monitor delivering stunning visual output. These curved monitors are designed to match the curvature of human's eyes for providing more comfortable and uniform viewing experience. Display features are awesome and this is possible because of its screen resolution of 3440 x 1440p. You can manage your windows on the single panoramic display. This monitor comes with many multitasking features that will surely boost your productivity with its tremendous picture quality. 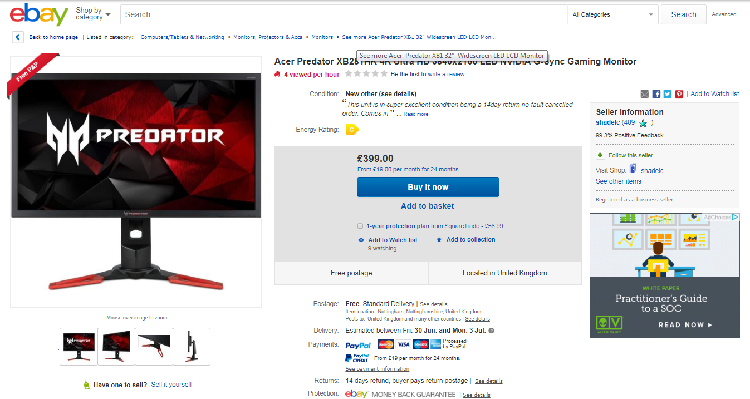 Enhance your gaming skills with Acer Predator gaming monitor. You will encounter the brand new experience of gaming with the 4K visual outputs in the brilliant resolution of 3840 x 2160p. This Acer product will surely provide users a smooth gaming experience. This Acer product is built with NVIDIA graphics technology to inhibit screen tearing. It also inhibits sluttering of display ensuring a smooth and enjoyable gaming experience. Acer predator is built with backlight feature that helps in building the gaming atmosphere and the screen resolution of 3840 x 2160p brings the best visual output. Rapid frame and refresh rate guarantee blur free, smooth and judder free graphics. This amazing feature results in lower lag and latency that improves the response time for paced games. This monitor is best for the fast games including MOBA, racers and FPS always delivering sharp and crisp visual output needed in developing your gaming skills. The refresh rate of 144hz with the graphics card manage the gaming at 144 fps. FreeSync is needed for adaptive synchronization of LCD display that reduces screen tearing. The ultra fast response because of its amazing features is the only key to smooth gaming. It inhibits blurring and ghosting delivering its users a rich experience resulting in improving their productivity and gaming skills. All of the gaming monitors listed are best with their features. 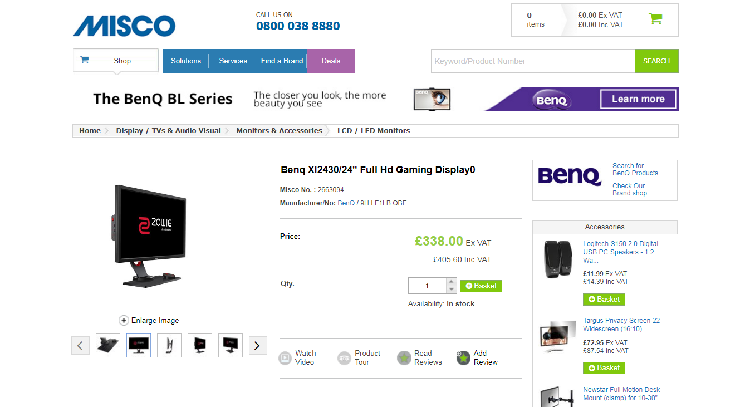 The Benq gaming monitor is built with blur-reduction technology that gives users smooth gaming experience. This monitor is also designed for quick response with the response time of 1 ms.
Benq monitor is built with gaming refresh optimization technology that makes this device different from others. This device is made to boost productivity, thus it has a lower blue light vision that does not harm our eyes. This feature provides more time to play comfortably, thus you can improve your gaming skills without harming your eyes. Another masterpiece from Dell and this time it is a monitor loaded with incredible features. This Dell gaming monitor is built with IPS technology having screen resolution of 2560 x 1400p. You will encounter a brand new experience after owning this powerful hardware. Dell gaming monitor is built to deliver performance that truly deserves applause. This monitor is brilliantly designed for user convenience and comfort. The integrated speakers provide clear audio and with the flow sound that really helps users to connect with their games. Eco-efficient and reliable, this device is made for the gamers who want to fulfill their gaming desires. Lastly here is Viewsonic gaming monitor with full HD display quality. The LCD is built with Latest IPS technology and the screen maximum resolution is 1920 x 1080p. The wide screen size of 21.5 inches provides bigger screen for improving your gaming skills. The response time of 2 ms delivers smooth gaming experience without any blur and screen tearing. Built in integrated speakers reduces the necessity of external speakers. These integrated speakers provide clear audio output and help in making a gaming environment and also keep the gaming in the flow. Gaming consoles are nice gadgets for playing games but for intense gaming PC gaming is necessary. Thus, you will need one of the top gaming PC, monitors and keyboards. You can buy gaming keyboards and mouse from online stores. Gaming monitors will help you in developing your gaming skills. The best part of these gaming monitors is that they deliver high-quality visual output with rich graphics. These gaming monitors are designed to support the brilliant graphics card fixed in the gaming PCs. Gaming monitors are capable of delivering the best result a gamer is looking for without any kind of blur and interruption. A well organised article with very clear and crisp information. 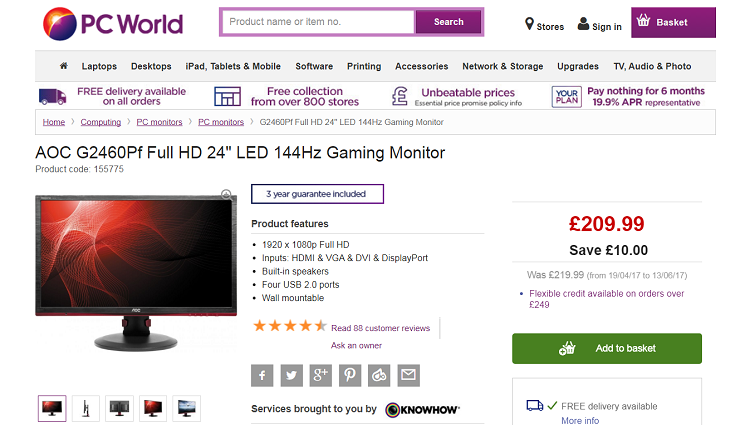 One of the best user guide listing the best gaming monitors. 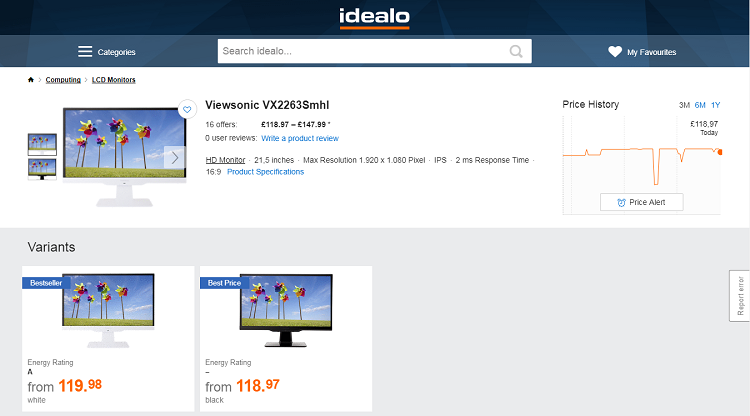 This article has made me curious to know more about Dell U2715H that I was planning to buy but after reading this article I need to think once more because there are many other options with decent features and specification. So, I am going to do some more research before taking my final decision.